Several players kicked over milk jugs in order to free the team from their own facility. Cagliari is the capital of Sardinia, an Italian island west of mainland Italy. The island is currently undergoing a protest by local farmers about how they are going broke due to low milk prices. Prices are so low that farmers are losing money to produce milk for the townspeople so they are protesting by pouring that milk in the streets and blocking traffic. Another form of protest these farmers have taken up has been blocking the exits of Serie A team Cagliari Calcio. Cagliari is the lone Serie A team on the island and players were supposed to travel to face AC Milan Sunday. Local farmers weren’t having that, and seeing an opportunity to get some mainstream press, around 100 farmers blocked all the exits and kept the team locked in the team facility. Farmers wanted Cagliari’s match against AC Milan to be abandoned but team officials talked to the farmers to negotiate a truce and for them to get out of their facility and travel to Milan, even though they missed their original flight. The players were let out once players Nicolo Barella, Alessandro Deiola and Joao Pedro were shown to join in on the protest by kicking over milk jugs outside the facility. 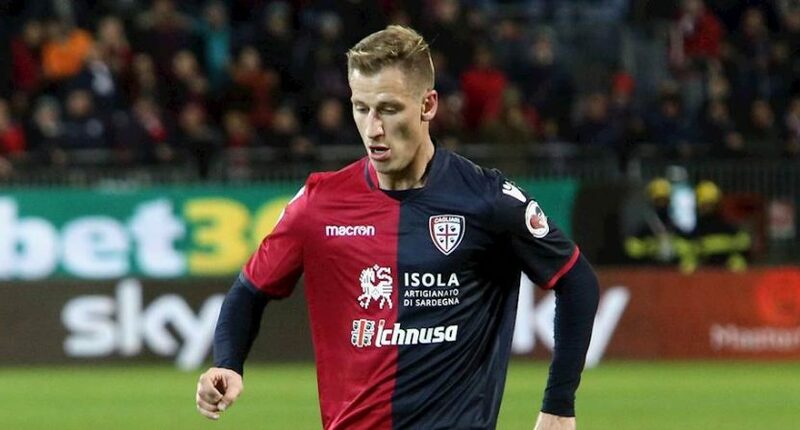 Cagliari has been in Serie A since the 2016-17 season and is currently 15th, four points above relegation. They’ll be late, but it appears they will be in Milan for Sunday’s game and the local farmers got a Serie A team to support their movement, albeit by a bit of coercion since they needed to get to their game. News and soccer editor for The Comeback and Awful Announcing. I also do video highlight game coverage for Major League Soccer as well as a freelance writer for hire. Opinions are my own but feel free to agree with them. Who farted on the Sixers’ bench? An estimate of 447 feet seems short here. The Blue Jackets got bold by buying at the trade deadline instead of selling, and it paid off.